Fantastic work from some of the White Belt Seniors in Adult Class tonight working on developing the basics of Striking, Blocking, Guard and foundation Stances! 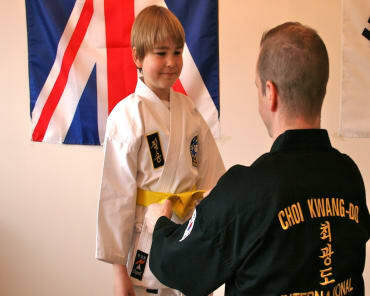 Our Adult Classes are designed to allow everyday people to learn with Expert tuition the basics of Adult Martial Arts/Self Defence and over time building a repertoire of Intermediate and then Advanced Martial Arts Techniques. You might wonder if it is possible for you to train towards this level but with our help and constant support yes you can! As they rightly say “the first step is the hardest”! When in fact it is actually incredibly easy to come and get involved! 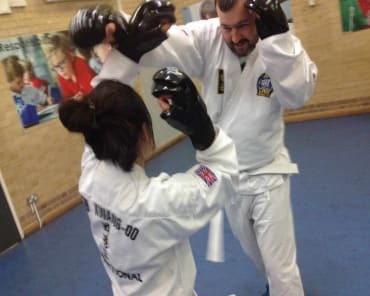 Our Adult Martial Arts/Self Defence Classes are held at Stanley Primary School serving the local residents of Teddington, Hampton Hill, Hampton, Twickenham, Whitton, Hanworth and surrounding areas.